Heather Rice was introduced to INSTALL while working at her first job out of college in California, and since then has developed a long-standing relationship. After her initial involvement with INSTALL, Rice has become a major player in bringing key initiatives to fruition, such as the INSTALL Substrate Prep Certification. Rice has also played a leading role in reviewing INSTALL curriculum and certifications as well as delivering training throughout North America. Growing up with six brothers, Heather Rice was used to living in a male dominated world. 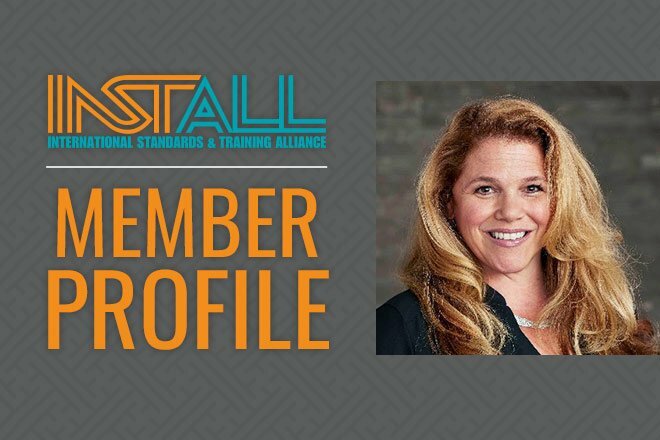 Throughout high school and college, being “one of the guys” was completely normal for her, and even at the start of her career she didn’t realize that there was an unequal representation of women in the flooring industry. While the vast majority of general contractors, architects, installers and other professionals have been supportive of Heather, she has faced biased subcontractors and other people who didn’t understand why a woman was sent to the job site. Thankfully these interactions were few and far between, and she continues to be supported by architects, general contractors and INSTALL.